The Global Gathering report outlines the outcomes of this bi-annual event held in Paris just days before the Open Government Partnership (OGP) Global Summit 2016. 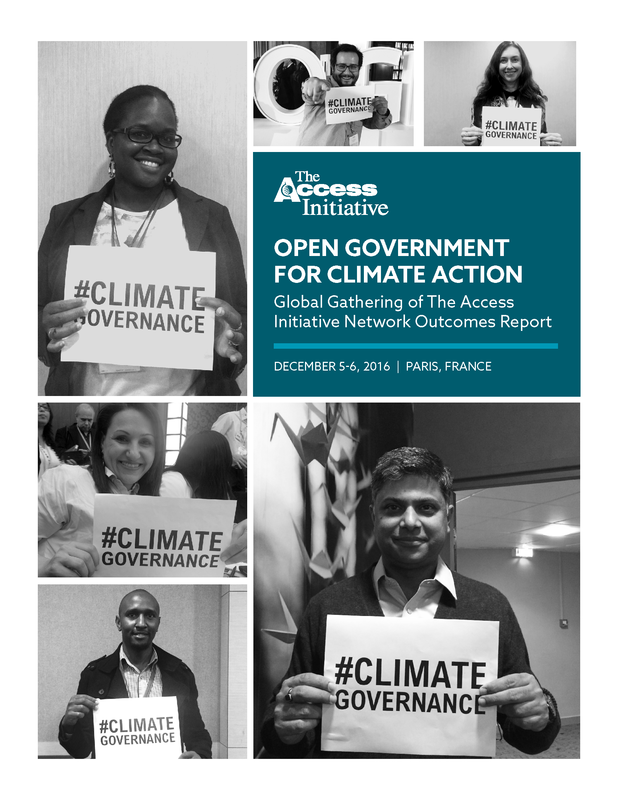 The Global Gathering focused on “Open Government for Climate Action,” a theme that emerged from the growing recognition that effective and just climate solutions call for open, inclusive and accountable governance. The Gathering brought the open government and climate communities together, building stronger coalitions to hold governments accountable to climate commitments and to catalyze more ambitious climate action. The report captures most of the concrete, actionable ideas discussed during the two-day conference .